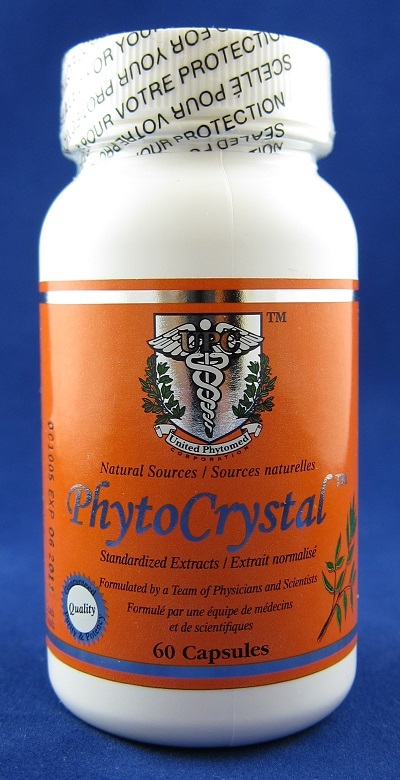 PhytoCrystal (60 capsules)- Save-On Nutrition Centre Ltd. This product was created by a team of physicians and scientists after many years of cumulated research. Centuries old usages of these herbs for food and drink plus recent documented basic research and clinical application have further verified its usefulness and safety. It's clinically proved to be effective on eliminating excessive free radicals generated internally or through external sources, which causes aging, cancer, heart attacks, stroke, and other serious disabling conditions. Most potent and effective free radicals scavenger and inhibitor of free radical-induced cellular damage. More bio-available and a far more powerful antioxidant than vitamins C, E, and beta-carotene. Reduces the risk of arthritis and improves joint flexibility and effective adjunct treatment for rheumatoid arthritis and osteoarthritis. Lowers blood pressure and serum cholesterol & triglycerides with simultaneous increase of HDL and decrease of LDL for the reversal of arteriosclerosis. Helps prevention and management of stroke and its sequel including vascular dementia and Alzheimer disease. Improves memory and concentration. Stabilizes blood sugar and is helpful for diabetes. Helps obesity reduction and weight management. Effective for chronic fatigue syndrome and increases energy. Promotes natural killer cells and T lymphocytes function. Supports the immune system's first line of defense and helps in fighting bacterial and viral infections. Significantly helps treatment of skin rashes, dermatitis, acne, and other inflammatory disorders. Beneficial for GI inflammation and stomach ulcers. Reduces the severity of allergies. Anti-skin wrinkles and prevention of sun exposure damages, making skin more supple and look younger. Detoxification of heavy metals and alcohol excess. Shown in both animals and humans to be hepatoprotective and useful for treatment of hepatitis and cirrhosis. Reduces symptoms of prostate enlargement.